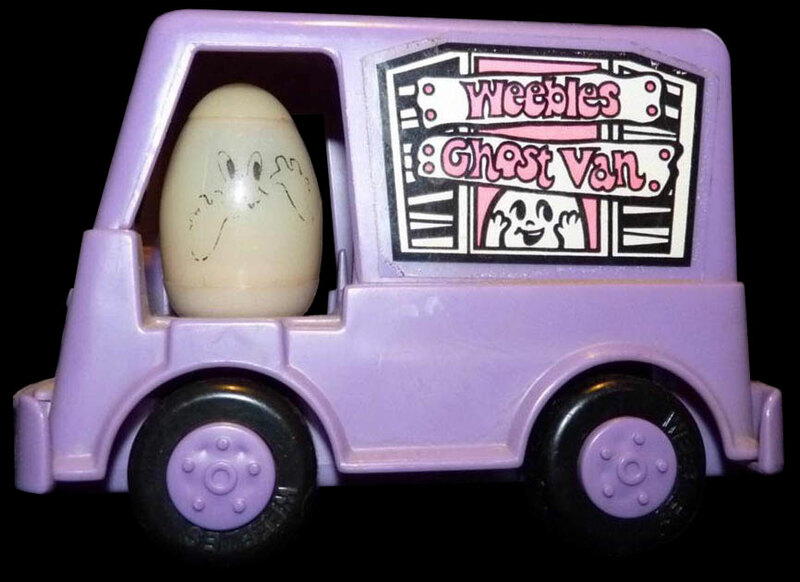 Description: The Weebles Ghost Van is a small set with "spooky" glow-in-the-dark features! 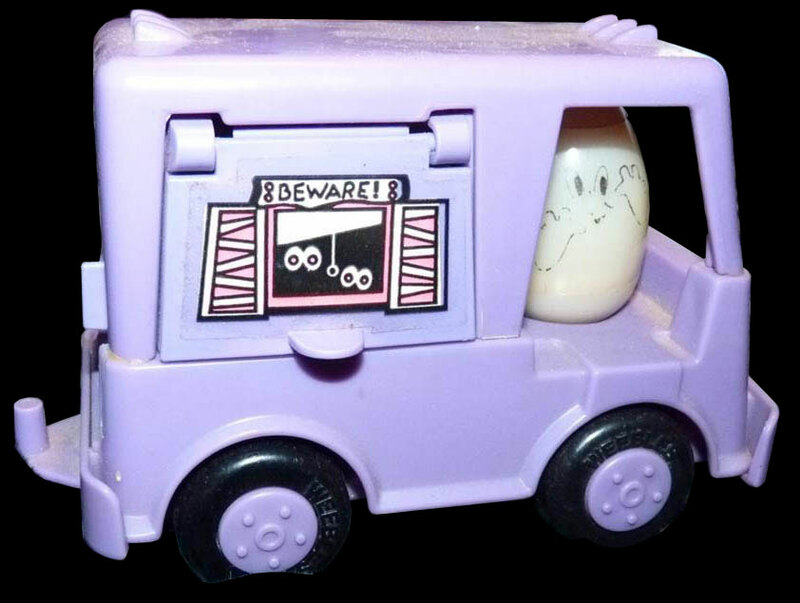 The Weebles ghost glows, and special lithos on the purple ghost van glow too! 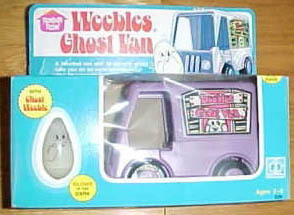 The Ghost Van is a purple version of the White Ice Cream Truck sold in 1977's Super Weeble Hero set. 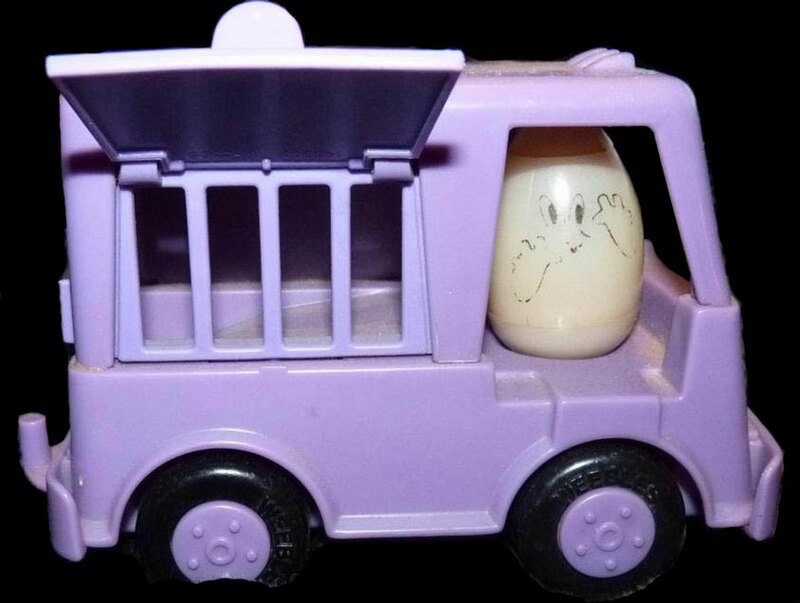 Weebles Ghost Van Litho - Litho shaped like an old haunted house window with shutters. Has a ghost peeking out bottom of window, and boards across the windows spell "Weebles Ghost Van" in pink. Fits on doorless side of the ghost van. Beware! Litho - Litho shaped like a small haunted house window with shade pulled half-way down, 2 sets of "spooky" eyes, and a board above the window marked "BEWARE!". Fits on the trap-door side of the ghost van. Ghost Weeble - HTW28 - White base, white top, glow-in-the-dark ghost with thin black face and arm outlines. Ghost Van TV Commercial: http://archive.org/details/dmbb24136.